The Toy Trust is a grant-making trust that was founded in 1992 by The British Toy & Hobby Association (BTHA). It is designed to help disadvantaged children and their families in the UK and abroad. The Toy Trust's upcoming event will take place on Saturday 8th June 2019 at Wet 'N' Wild in Oxfordshire. Events include a triathalon and a walking event for younger family members. On the 5th April 2019 The Toy Trust donated £10,000 to Mozambique’s Cyclone Idai relief efforts. The annual Toy Trust Media Auction raised a whopping £91,800 during the 2019 Toy Fair. The auction saw airtime and printed media slots donated by leading online, print and trade journals. 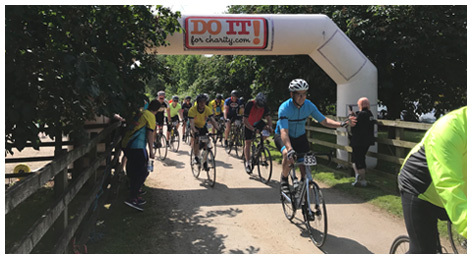 The Big Challenge event took place on Saturday 9th June saw 200 industry professionals walk, run, swim and cycle in a bid to raise £200k towards the theme, Giving the Gift of Play. The funds raised will allow 65 disabled and poorly children, and their siblings, to enjoy a week-long activity camp. In June 2017, The Toy Trust announced their "Industry Heroes" initiative, making it possible for individuals to take on a personal challenge in the name of raising funds for the Toy Trust. The annual Toy Trust Big Challenge took place in the Cotswolds on 6th May 2017 and saw over 200 toy industry participants raise almost £170,000. Events included 40 walkers completing a 10km walk and 50 cyclists completing 80km/125km cycle rides around the famous rolling hills. It was reported in September 2016 that The Toy Trust had successfully assisted every single registered children’s hospice in the UK with donations totalling £200,000. This funding helped provide play experiences for hundreds of children with life-limiting illnesses. The Big Thames Challenge took place on 2nd June 2016 and saw 230 people from all areas of the toy industry sprint, jog or walk a collective total of almost 15,000 miles along the Thames. The target of £200,000 will go towards the Toy Trust’s Giving the Gift of Play cause. Many well known toy industry figures regularly organise events to help raise money - marathon cycling trips, walks, celebrity football matches and auctions at charity dinners are just a few of the ways in which the money is raised. The Toy Trust has raised nearly £3M since it's creation which has helped to make a real difference to many families in difficult circumstances. All money raised goes straight to children’s causes. Costs are absorbed by the BTHA. Dozens of toy industry professionals were asked to hold a cake sale and send their masterpieces in for judging. 5 winning bakers were awarded an industry Cup Cake Award whilst the proceeds from the event helped generate money for the numerous children’s charities that the Toy Trust supports each year. The annual Toy Trust Golf Day took place on at Sonning Golf Club in Berkshire. The day was hailed a great success with over 30 toy industry professionals taking part to help raise £3700 for worthy causes. This gruelling 70-mile bike ride around the Isle of Wight was a huge success and contributed to the £200k that the trust raised in 2013. UK charity Whizz-Kidz was be main beneficiary, receiving £90,000. VTech, Mattel and Lego were just some of the companies that took part. In total, 183 cyclists from all sides of the toy industry helped make the event so well supported. On 4th December 2011, Andrew Brown (who at the time worked at Flair) started to row a staggering 2,936 miles across the Atlantic Ocean to try to raise over £80,000 for the charity. 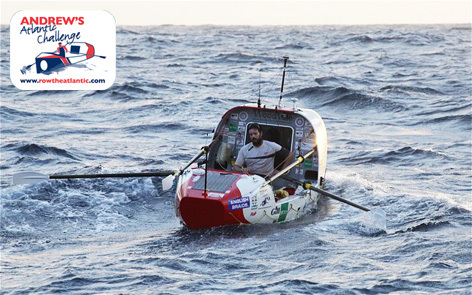 He finished on 21st January 2012 and earned himself the title of the fastest solo transatlantic rower in the process. He was also presented with a Special Recognition Award from the Toy Trust for his amazing achievement.